World Centric high heat compostable utensils are a natural, bio-based alternative to petroleum-based plastic cutlery! Made from TPLA, 70% non-GMO PLA (a biopolymer derived entirely from renewably grown plant resources, not petroleum) and 30% talc. These sleek, 6" utensils are heat-resistant up to 200°F. 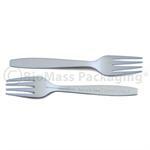 SpudWare® Compostable is a newly designed 7" cutlery. It's sleek, ridged, and strong enough to handle anything you dish out. 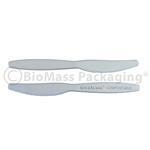 World Centric high heat compostable utensils are made from TPLA 70% non-GMO PLA and 30% talc. 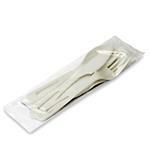 They are heat resistant up to 200°F and a great alternative to plastic cutlery. 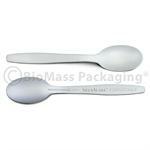 World Centric compostable sample spoons are made from TPLA 70% non-GMO PLA and 30% talc. 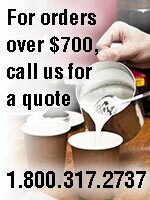 They are heat resistant up to 120°F and a great alternative to plastic sample spoons.